This page is for partner members only. It contains valuable information in downloadable format to assist in selling and supporting ECO Elite product. Understanding is key to success, and these pages help to provide usable information in an effort to help increase your business. You will find pages with product data sheets, technical information, and promotional material. 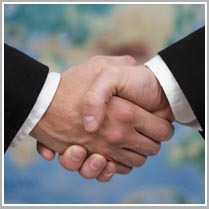 Also available to partners is our powerful cross-reference search engine. This proprietary reference tool searches a database--containing over 400,000 model numbers--that is updated daily. Utilizing over 50 years of combined experience in cross-referencing products, developing OEM and compatible product lines, and IT technology, create the best search engine for consumables. The links to all of this information are password protected. Please login to the MEMBERS AREA field above with your login and password. If you are a partner, but do not have a login and password, please contact your ECO Elite sales representative to obtain the necessary login information. If you are a interested in becoming a partner, click here.